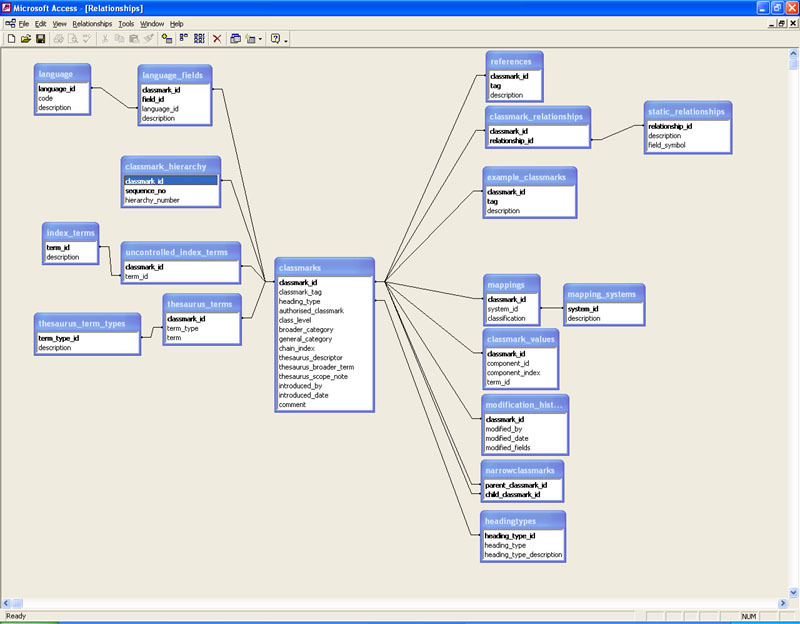 Data management tool FATHUM is written in Visual C++. It uses an Access database to store the data schema and act as repository. The Microsoft Data Access Component provides a layer of abstraction between the program and database. The MFC (Microsoft Foundation Class) libraries are used to combine a degree of rapid development along with good performance. The tool runs in a MS Windows environment and provides data entry, browsing, searching and data export facilities. 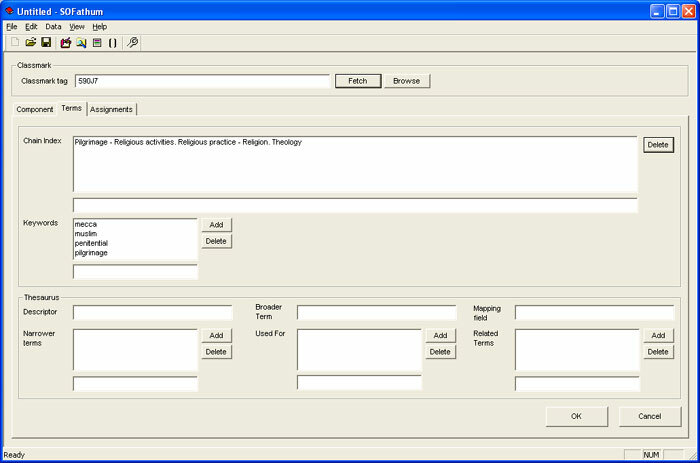 It uses an embedded Internet Explorer object to browse the database. An Apache web server is employed to browse the database using PHP scripts. The scripts are accessed by the Internet Explorer object to provide the facet browsing and searching functions. generates the following html file. 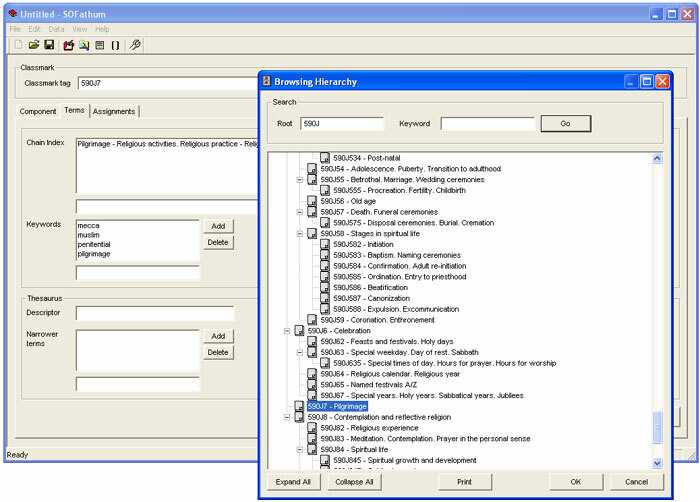 Facet maintenance tool for root categories. Allows to specify/define/change general facet categories that become inherited by subclasses. facets created. This structure is then populated from the classification data file and written to the database.